Martin Wolf: The idea that the Greeks will run large fiscal surpluses for a generation, to pay back money creditor governments used to rescue private lenders from their folly is a delusion. The idea that the Greeks will run large fiscal surpluses for a generation, to pay back money creditor governments used to rescue private lenders from their folly is a delusion. But this went overwhelmingly not to benefiting Greeks but to avoiding the writedown of bad loans to the Greek government and Greek banks. Just 11 per cent of the loans directly financed government activities. Creditors have a moral responsibility to lend wisely. If they fail to do due diligence on their borrowers, they deserve what is going to happen. In the case of Greece, the scale of the external deficits, in particular, were obvious. So, too, was the way the Greek state was run. Det är inte Greklands skulder som är huvudproblemet. Hade Grekland haft sin egen valuta kvar så hade den sjunkit och kostnadsläget återställts, precis som i Sverige när Dennis, Bildt och Wibble hade misslyckats 1992. De anpassningen tog högst tre minuter. Tyvärr fortsatte Göran Persson med den åtstramning de stora tänkarna Carl Bildt och Ingvar Carlsson hade föreslagit före kronans fall. Nu har Grekland euron och kan inte anpassa sitt kostnadsläget den vägen. Det väg som då återstår är Interndevalvering, eller Ådals-metoden, som jag kallar det. Greece must lower its real exchange rate, by cutting prices and wages. This is proving a painful process. - Den stora risken var att Grekland skulle utlösa en kris i italienska, franska och tyska banker. Nu finns i praktiken en EU-garanti för de utestående grekiska statsobligationerna. "We are not at all an anti-European force. We are fighting to save social cohesion in Europe. We are maybe the most pro-European force in Europe, because its dominant powers will lead the union into instability and the euro zone to collapse if they insist on austerity," he said. QE, Annika Falkengren, Madame de Pompadour och "Après nous le déluge"
- Jag tillhör dem som haft en klump i magen under flera år, hur ska man ta tillbaka den här likviditeten? När ekonomin väl har fått gratis likviditet är det svårt. Det är som att ha en ballong, hur ska du pysa ner utan att det säger pang? Madame de Pompadour är en av världens mest berömda kungliga mätresser. 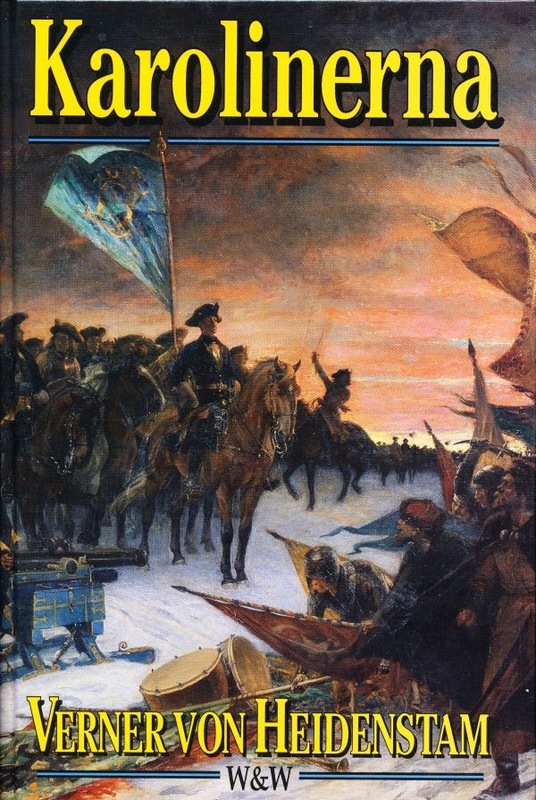 Hon var också den första, och en av endast två kungliga mätresser i Frankrikes historia, som inte var adlig. Hon lär ha yttrat det bevingade uttrycket "Après nous le déluge" (Efter oss syndafloden). Just before leaving the Fed this year, Mr Bernanke was asked if he was confident in advance that QE – the policy of buying bonds to drive down long-term interest rates when short-term rates are already at zero – would do the job. Chuck Prince, former chairman and chief executive of Citigroup, interviewed only a month before the music stopped 2007. A few weeks later he was out of a job. Generande självklart när man väl har läst det, eller hur Draghi? and to German consumers to spend more on that Italian-made stuff and those Greek holidays. But banks won’t want to lend to Italian or Greek companies just because they have a lot more money on their balance sheet. So if a trillion euros get printed in Frankfurt, a lot of it will wash its way across the English Channel. Economists will no doubt be debating the effectiveness of QE for a couple of generations at least. Yet one thing we know for sure is that when a major central bank prints money, it floods the rest of the world. When Japan started, it fuelled asset booms in the US and Europe. When the Fed and the Bank of England launched QE, much of the money poured into the emerging markets. In a world where capital is mobile, and there are no controls on its movement, that is what you would expect. Jag tar tydligt avstånd och fördömer det som sker och därför stöder jag den resolution som tar upp just detta och i veckan röstas om i Europaparlamentet. 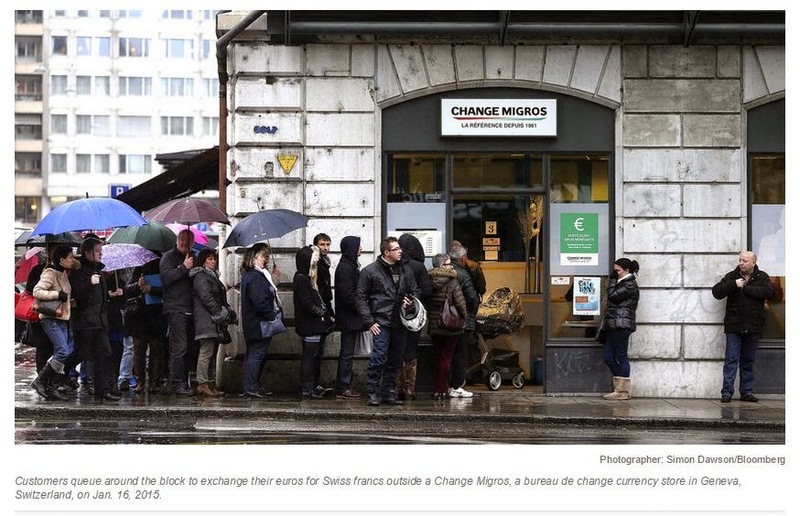 Customers queue around the block to exchange their euros for Swiss francs outside a Change Migros, a bureau de change currency store in Geneva, Switzerland, on Jan. 16, 2015.
and after a year or so Greece is beginning a vigorous recovery on the back of a weak drachma. In that case, the people of Italy, Spain and Portugal would ask: “if Greece can do it that way then why can’t we?” And there wouldn’t be a good answer. The euro-zone would do the splits as soon as you could say Jean-Claude Juncker. NATO eller Nordic Battle Group vid Narva? Gränsen mellan EU och Ryssland går mitt igenom staden Narva. Här har vi en bild då det senast begav sig där för oss. The border between the East and the West of Europe will now follow the Narva river. Willem Buiter, the well-respected chief economist of the US financial giant Citigroup, has thus modified the idea of helicopter money. His version calls for policymakers and central bankers to act in concert. Buiter is unconcerned about EU regulations preventing the ECB from the kind of direct state financing such a plan would entail. He considers Article 123 of the Lisbon Treaty, which addresses the issue, to be a "disaster" anyway. He also doesn't believe the plan would endanger the ECB's independence. "Independence does not mean that you don't answer the phone when the minister of finance is calling," he says. "Independence means the right to say no." Repeatedly, voters have thrown out incumbents, dissatisfied with the direction of the economy – only to have the new government continue on the same course dictated from Brussels, Frankfurt, and Berlin. But for how long can this continue? Problemets kärna är att det inte går att ha EMU om man inte vill ha ett Federalt Europa, styrt från Bryssel och Frankfurt, eller om det blir Berlin. - But it is also clear that… this could only take place in the context of a decisive step towards closer Fiscal Union”. Nils Lundgren: Geografisk rörlighet och möjligheterna till stora transfereringar har fått klara av de påfrestningar som har drabbat vissa branscher och därmed regioner i nationalstaterna. När påfrestningar och makroekonomiska chocker har drabbat hela länder som nu i Finland och Sverige, har varken geografisk rörlighet hos arbetskraften eller transfereringssystemen kunnat klara av anpassningen. Teoretiskt kunde några hundra tusen industriarbetare med familjer ha flyttat från Finland eller Sverige till t ex Bayern, när krisen slog till här i början av 90-talet, men vi vet alla att detta inte skulle kunna inträffa ens vid fullt medlemskap i EU. Hindren är ju inte huvudsak byråkratiska utan språkliga och kulturella. Draghi´s prescription amounts to an EU superstate, with economic sovereignty to be "exercised jointly". The northern creditor states have in any case spent the past four years methodically preventing any durable pooling of risk or any step towards fiscal union. In airing such thoughts, Mr Draghi is really telling us that he no longer thinks EMU can work.